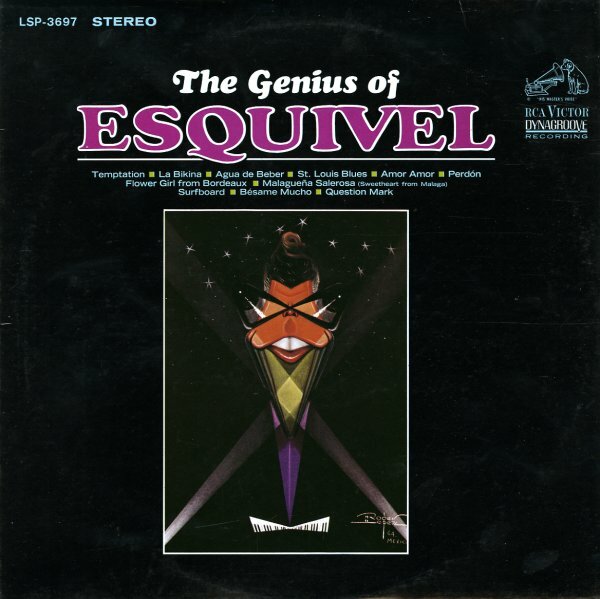 This is our favorite of all Esquivel albums – both because some of the electronic effects are the most advanced, and because it was recorded late enough to feature some great renditions of Bossa Nova material, like "Aqua de Beber" and "Surfboard". The sound is very groovy – with the addition of some nice 60s elements that lifts the record from the heaviness of earlier recordings in a great way. Other titles include "Amor Amor", "Question Mark", and "La Bikina". © 1996-2019, Dusty Groove, Inc.